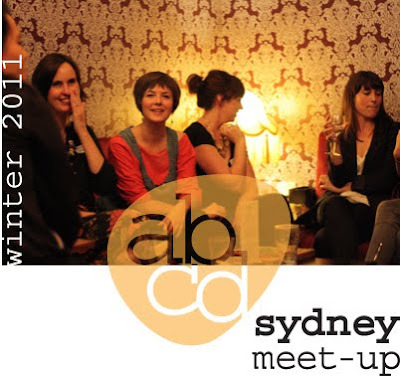 Friends, if you are in Sydney on 30th June 2011, please come along to the Sydney Winter ABCD meetup (art + blog + craft + design). We would love to see you. Don't forget to RSVP for the fabulous ABCD goodie bag by 25th June so we know how many to make. All goodie bag participants will receive one on the night. Find all the details and RSVP here on Bondville. What a lovely friendship that is. I wish i could have a get together like that.